Stock fuel pump. Stock tuning. 8psi. 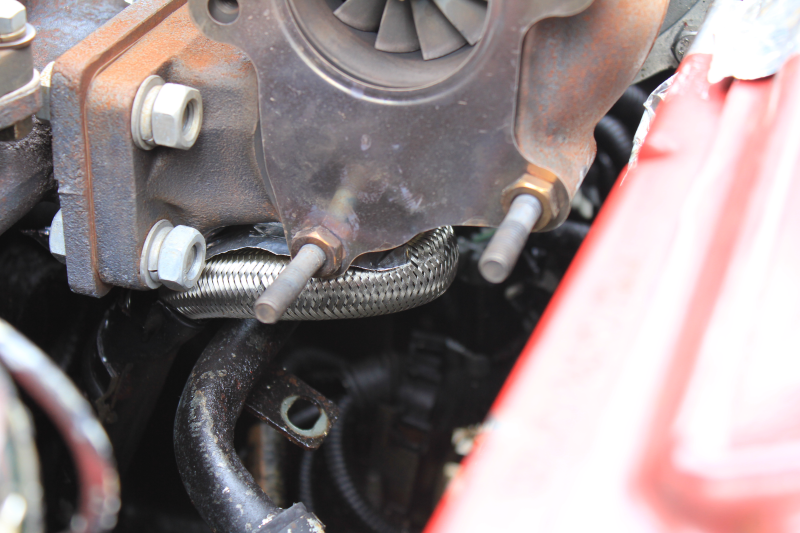 And yes, those are alternator wires melting. That would be his dipstick hole the oil return is going into.